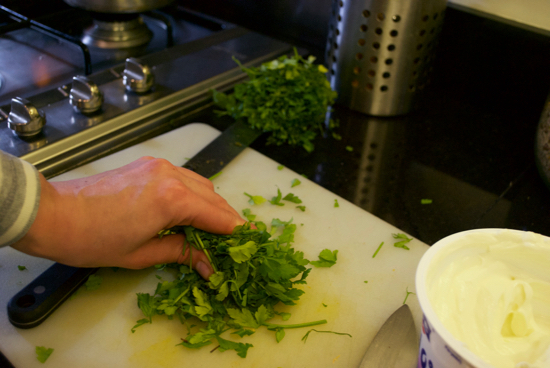 Simple food, simple pleasures. 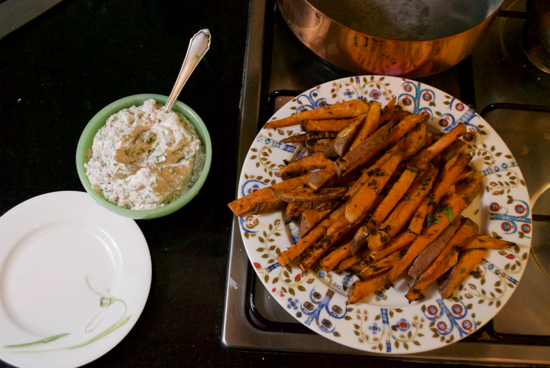 The sweet potato holds up surprisingly well when it comes to cooking in various forms. Dense, with a creamy texture, they are wonderful roasted, and this easy preparation has been a stand-by for me in recent weeks. There's very little fuss. Just give the potatoes a quick scrub, cutting on the nubbly bits. 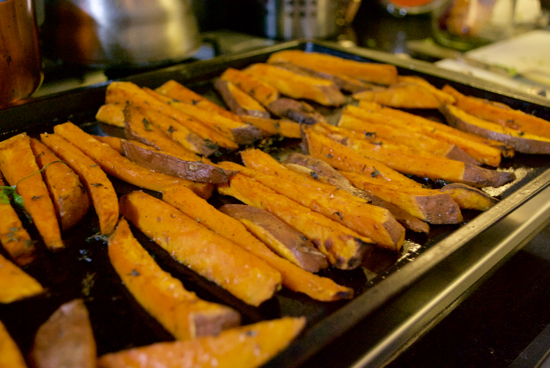 Then slice them into wedges, toss them in salt, and then roast. 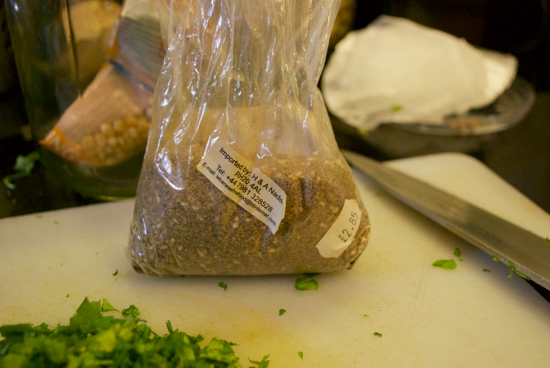 You can dip them in hummus, toss them in pesto, serve them next to anything. I, of course, have taken to serving them in yogurt. 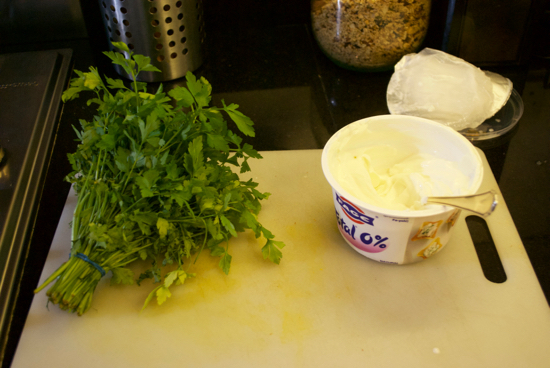 Not sure why, but I can't seem to get away from making a yogurt sauce. Perhaps a calcium deficiency? But never mind. 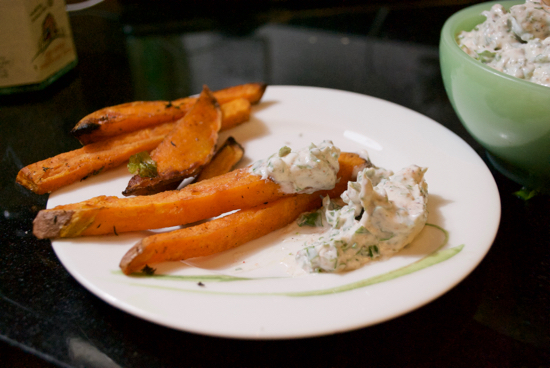 I make these roasted wedges about once a week and munch happily on them when I wander into my house in the evenings. Pre-heat the oven to 180C. 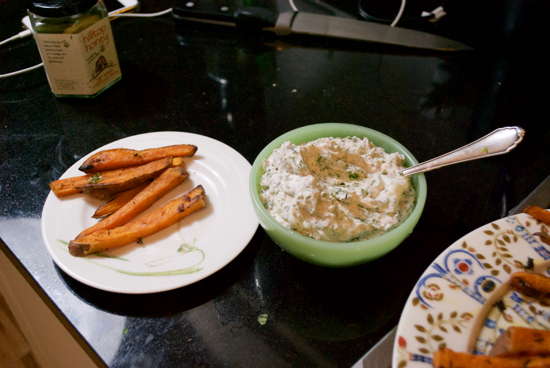 Scrub the sweet potatoes well, and cut off any imperfections. Cut down the center and then make 1/4 inch wedges. 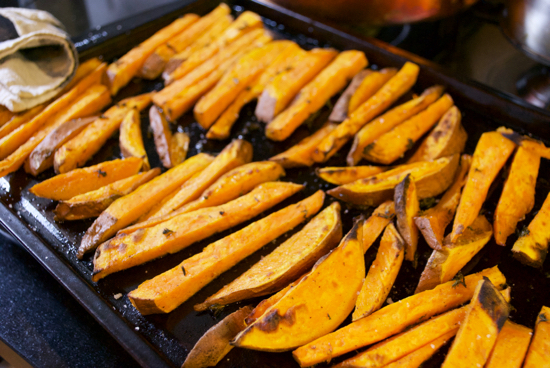 Lay flat on a baking dish and drizzle with oil and sprinkle well with salt. Flip and repeat on the other side. Place in the hot oven. Bake for 10 minutes and then turn over. Bake for another 10 minutes. Flip again. 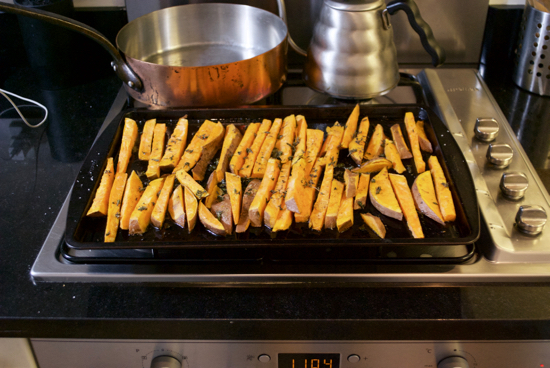 The wedges, depending on how thickly you cut them, should cook through in 20 minutes. I like mine quite crispy on the outside so I cook them for 30 minutes. 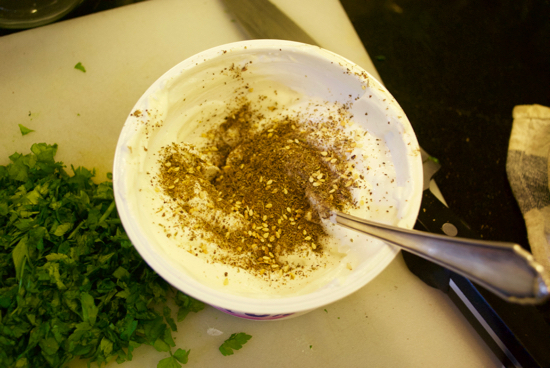 Stir the chopped herbs into the yogurt. 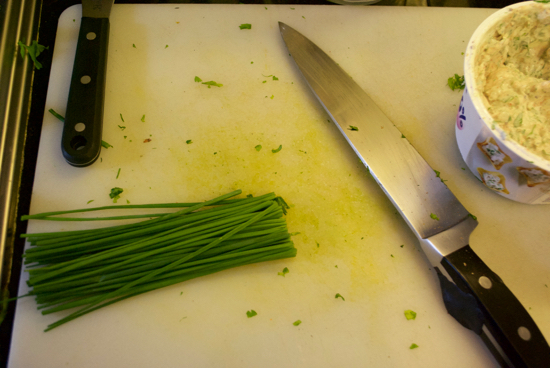 I like adding the zest of two lemons to this as well to give it a little bit of a citrus kick.